书籍简介: Are you worried about external hackers and rogue insiders breaking into your systems? Whether it’s social engineering, network infrastructure attacks, or application hacking, security breaches in your systems can devastate your business or personal life. In order to counter these cyber bad guys, you must become a hacker yourself―an ethical hacker. Get management involved with defending your systems. As we enter into the digital era, protecting your systems and your company has never been more important. Don’t let skepticism delay your decisions and put your security at risk. 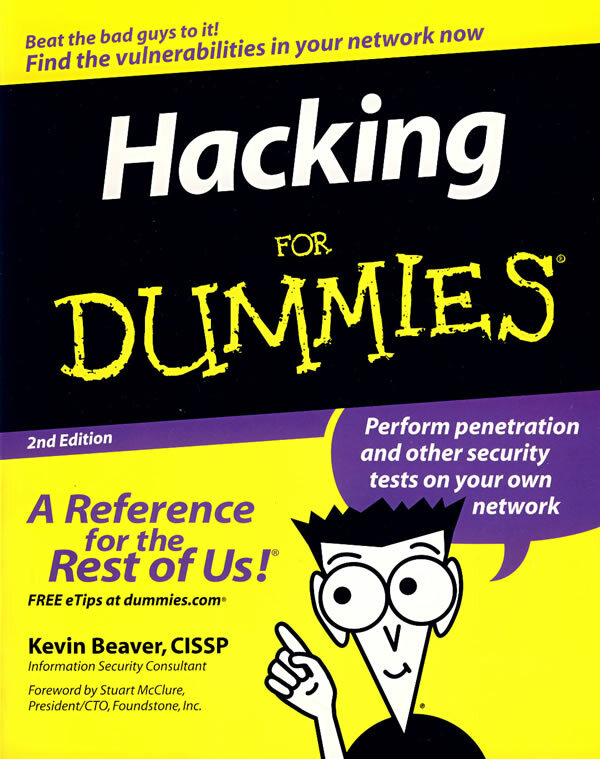 With Hacking For Dummies, you can strengthen your defenses and prevent attacks from every angle! Kevin Beaver is an independent information security consultant, speaker, and expert witness with two decades of experience in the IT industry. He specializes in performing information security assessments revolving around compliance and IT governance.